Become your family's Chief Financial Officer. Of all life's financial shocks, few compare to bringing home an infant. Just one tiny person costs $250,000 to raise- not including college How will you pay for it? That agonizing question fuels mothers' choices about their careers, budgets, and families. Some lean in, some scale back or seek new opportunities-there are no easy answers . . . but lots of rewarding possibilities. 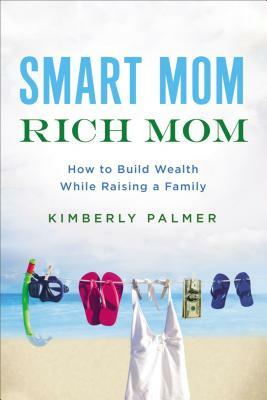 Smart Mom, Rich Mom explores how women today are navigating the financially challenging career/parenting years. Written by a national money columnist and mom of two, the book chronicles people who have stayed in the game-full-time, freelance, self-employed, and more-and emerged more prosperous and empowered. Smart Mom, Rich Mom mines their experiences to uncover both career advice and spending and savings strategies that everyone can use. Stories, checklists, action steps, planning tools, and more explain how to: * Prepare financially for parenthood-whether you're expecting your first child or your third * Balance thrift with generating income and investing wisely * Find flexibility at work while safeguarding your earning potential * Save for both college and retirement despite increased expenses * Plan for unexpected events, like a layoff or illness * And much more Kids change our lives, adding joy but draining bank accounts. Smart Mom, Rich Mom helps you adopt healthy habits-and make hard decisions-that pay off in abundance. Kimberly Palmer, author of The Economy of You: Discover Your Inner Entrepreneur and Recession-Proof Your Life, was the senior money editor at US News & World Report for nine years. She is an adjunct professor at American University, where she teaches a course on mastering social media. She lives with her family, including two children, in the Washington, D.C., area. You can find her at kimberly-palmer.com.